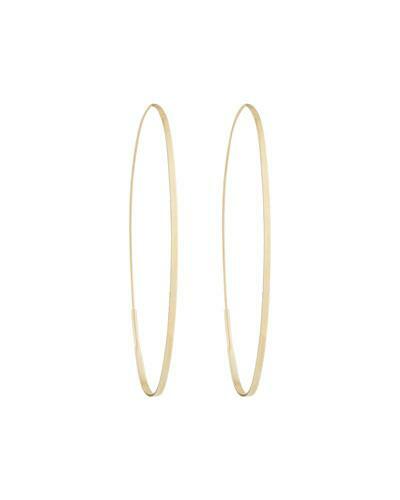 Magic oval large flat hoop earrings by LANA. Polished 14-karat yellow gold hardware. Thread through for pierced ears. Approx. 2.6L drop.